Rebecca Hill, age 65, a long time resident of Cleveland Heights, died from dementia on August 28, 2018, at The Lantern of Chagrin Valley, Chagrin Falls, Ohio. Wife of Calvin Hurd; sister of Stewart I. Hill (Arlene) and the late John Harold Hill; daughter of the late Floyd I. and Frances B. Hill. Becky is also survived by her niece Molly Hill Johnston (Ed); her nephew Brendan Hill; great-niece Keira Johnston; great-nephew Dylan Johnston; and Calvin’s children Jennifer Hurd, Jamie Hurd, Jeff Hurd and Jon Hurd. Becky, originally from Northern Virginia, attended the International School of Bangkok, graduated from Virginia Commonwealth University with an art degree, and earned her master’s degree in special education from Vanderbilt University. She taught children with autism in Chattanooga, TN and in the Cleveland area. Later she became a professional storyteller and dance caller, publishing several illustrated books of contra dance calls. She made life-long friends in the Cleveland area dance community and traveled extensively at the invitation of the international dance community. She will be buried with family members who preceded her, in Harrisonburg, Virginia. Condolences can be shared with the family at www.heritagecremationsociety.com. I’m so very saddened to hear of Becky’s death. I moved away from Cleveland 2 decades ago, but before that, spent time with Becky dancing and playing music together. We even partnered on a couple of the dances she wrote; I wrote the music, she wrote the dance! She was a wonderful thinker and had a great spirit, compassion, and zest for life. I know she will be greatly missed. This is sad – sorry to hear that Becky has passed. There are so many happy memories of Becky’s always perky and interesting company when we were both single contra dancers living in the Heights area of Cleveland, often carpooling together to the same events. How unexpected it was to see her brilliant personality grow dim. As you shared your talents you added joy to many people’s lives. God bless, you, Becky. Any time Becky’s dances are called there was always a heartfelt applause when the caller said the dance was by Becky Hill. Beside her talent as a dance creator and caller, I admire Becky for coming to dances after she stopped calling. She never lost her core humility and curiosity for being in the DANCE. I value Becky’s legacy of dances and memories, especially her co-calling with Carol Kopp at one News Years Eve Dance when they shared the same old pair of men’s trousers. My sympathy to Cal et al. My first Contra had Becky Hill as the Caller. She could see I was new. She spoke to me at a break, asking, “if I were good at math?” She said dancing is a kind of geometry. So have a snapshot of the figures you’ll need for this dance only, then you’ll be fine. That worked for me! I came into Contra Dance too late to see Becky call, I did have the pleasure of meeting and dancing with her at several of the north-east Ohio dances. My condolences to the family. 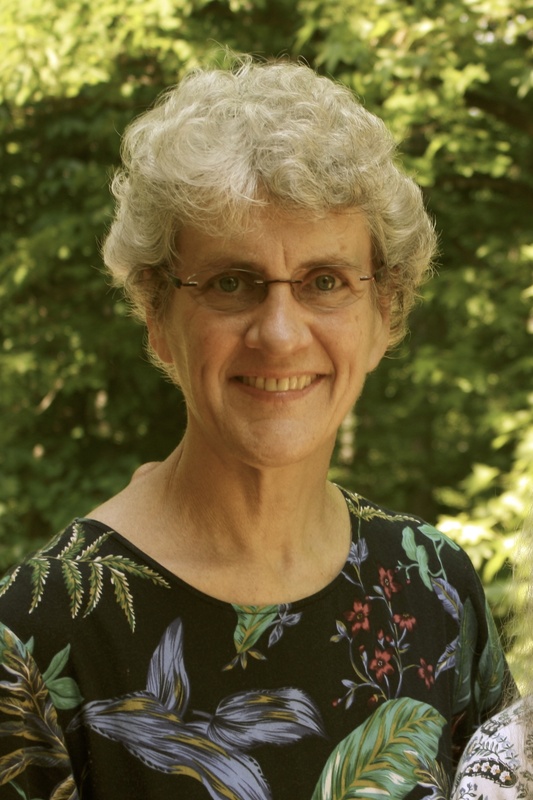 Becky was a piller of the Contra Dance Community, she called so many dances and shared her knowledge and experience with dancers and other callers. I remember she hosted a monthly Sunday afternoon gathering called “Square Dancers Support Group”, musicians came and played and she would test out new dances she was writing on us. Also being a dance gathering it turned in to a potluck, in the summer the musicians set up in the garage and we danced on the driveway. Fun times, she will be missed, my sympathies to her family. I never had the pleasure of meeting Becky, but have called dances she wrote. She has brought joy to dancers far and wide (I call in British Columbia, Canada) by sharing dances she and others wrote. Becky called at our Chehalis Dance camp (Vancouver BC) in 2002; I enjoyed her calling at Lady of the Lake June week in 2008. As a dance gypsy I must have enjoyed her and Cal’s company at other venues in those days. Sincere condolences to Cal. Dancers and friends across the country will continue to miss the joy Becky added to our lives.